He said that his life had begun and ended with two providential event. The first was that the Liberator had carried him in his arms in the village of Turbaco when he was making his ill-fated journey toward death. The other had been finding, despite all the obstacles that destiny interposed, a successor worthy of the company. 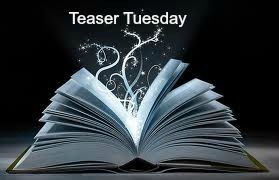 This entry was posted in Teaser Tuesday and tagged Dr Juvenal Urbino, Fermina Daza, Fiction, Florentino Ariza, Gabriel García Márquez, June, Love In The Time Of Cholera, Postaday, Tuesday Teaser. Bookmark the permalink. 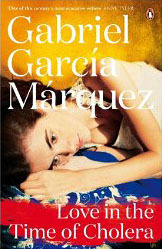 I love the work of Garcia Marquez, and this teaser made me want to read Love In The Time Of Cholera again… Great choice! Here’s my TT. Here is my TT post. Great teaser. i’ve seen this books a few times but I haven’t read it. Glad you’re enjoying it. My Teaser is from MAJOR PETTIGREW’S LAST STAND. What a wonderful book to open up to a random page! Marquez’s writing is just wonderful. Interesting teaser. I probably wouldn’t keep reading though – just not my kind of book! Here’s my Teaser Tuesday! Doesn’t sound like my kind of story. I hope you are enjoying it. My teasers this week are from The Inventor’s Secret by Andrea Cremer and Shadow Spell by Nora Roberts. Happy reading! The teaser isn’t really catching my attention but I HAVE heard good things about this one! Hope you are enjoying it! I found a few people who have not liked the book, but more have than not. Personally, I am enjoying it. It has me wanting to look at the end to see how it finishes. Such a brilliant choice – I love it! Oh this is SUCH a good book; I hope you enjoy it!